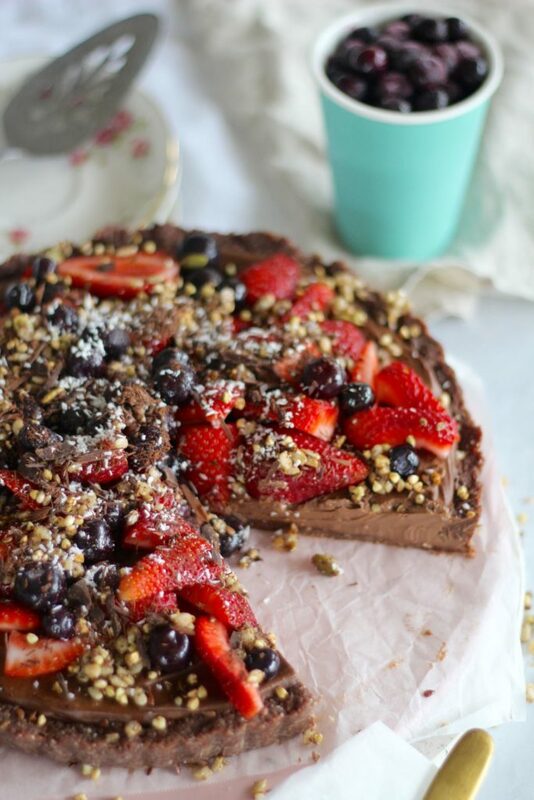 Raw mocha mousse tart | Gluten free, grain free, dairy free. 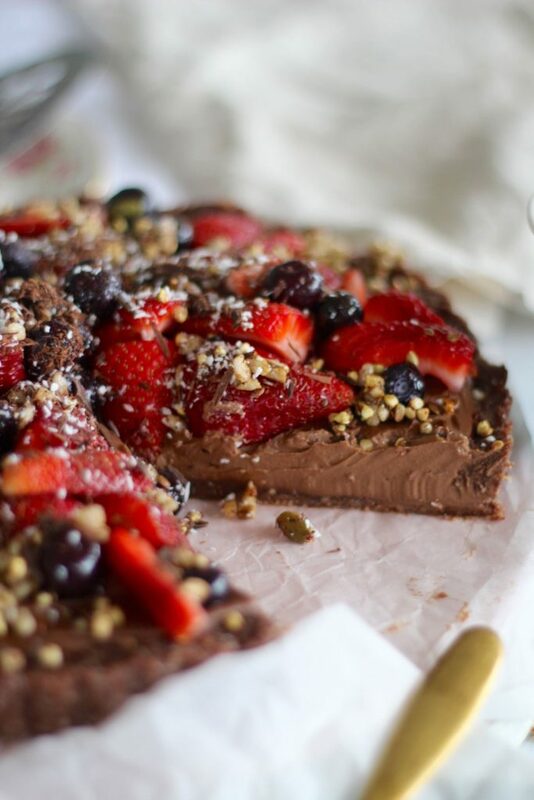 Ok, this raw mocha mousse tart might actually be the best healthy sweet treat we’ve made. Not even close to exaggerating! It’s perfect for your next special occasion, a definite show stopper! This recipe is an exclusive recipe on the Get Merry app. 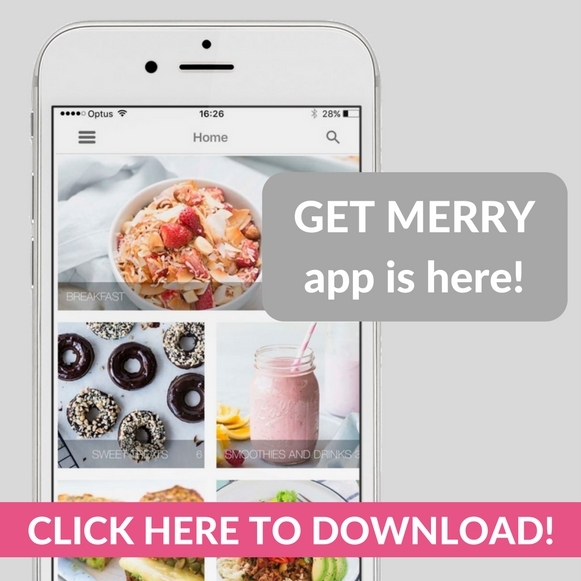 We’ve been sharing a brand new app only recipe to the app each week. The app is just $7.99 at the moment and we reckon this recipe is worth the purchase. It also has almost ALL the recipes from this website… that’s like over 200 delicious, healthy and easy recipes. All conveniently on your phone. Boom! The filling is oh so creamy and delicious and filled with goodness! 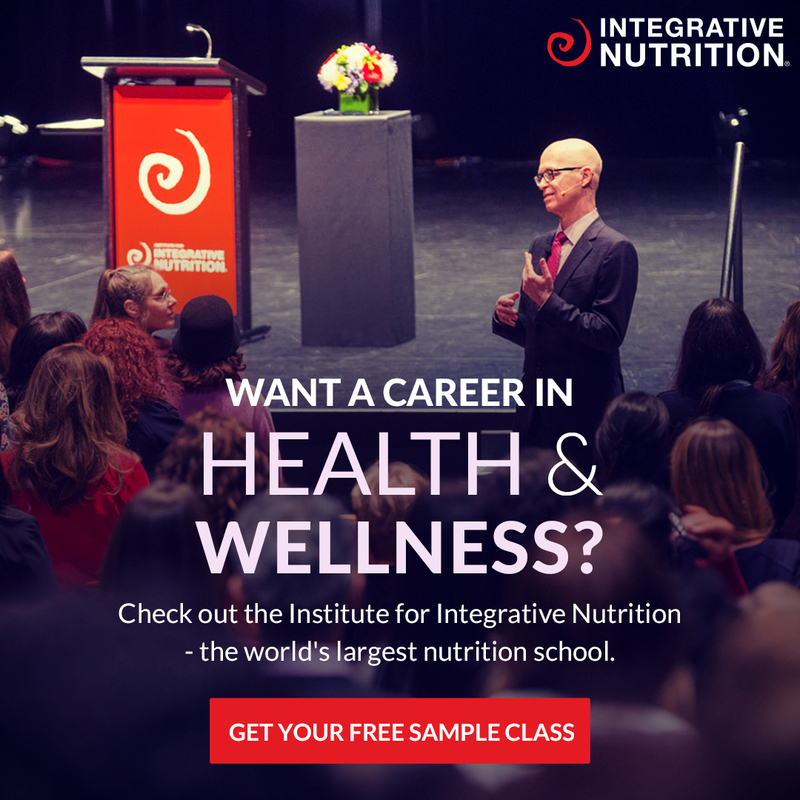 Think, all the good fats like avocado and coconut milk, with only a little natural sweetener. We always say less is best when it comes to natural sweetener. This tart is going to blow your mind and your taste buds. 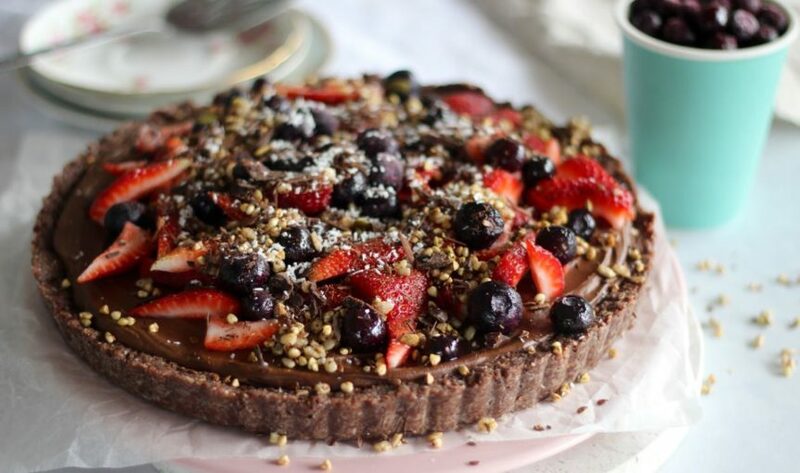 If you want a creamy, fluffy raw mocha mousse tart we’ve 100% got you covered. If you’re short on time or just can’t be bothered to do the whole tart thing… just make the filling! Whack it into small ramekins or into a big bowl, allow to set and scoop it out like ice cream. Oh yeh, that really does sound fun and yum! Also! We have to give a special mention to the epicness of the toppings. We always go for the messy look… because it’s easy and it works! If you make the tart share your pic with us and get super creative with the toppings, it’s tart art (hahaha). Read more about the app and download it HERE! We’ll leave you with one last photo to drool over. Ahhhh yum.